Many national and international research projects focusing on the voice and dialog control for care robots and use cases of eldercare were performed using the open source speech recognition software simon. 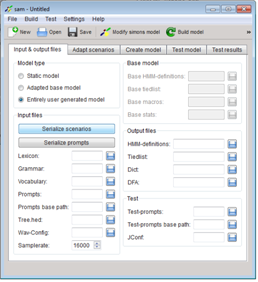 The focus of product development was in the field of open source speech recognition software simon and scientific tools that allow one to generate its own language model. In the area of usable Business Solutions Voice-operated stations (simontouch) have been developed. However, the focus of developments ranged voice-activated security solutions, such as App112 , etc.